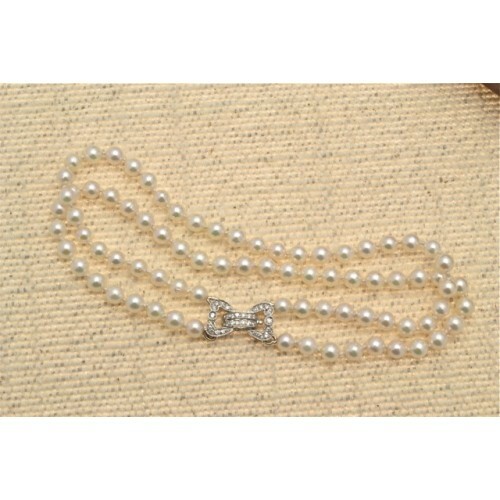 Double row of cultured pearls with a diamond set clasp. 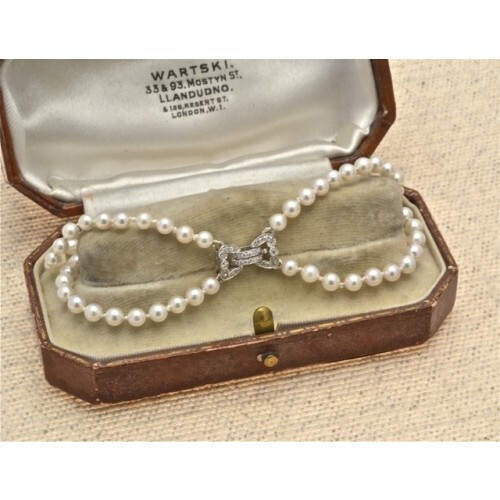 A double row of cultured pearls, circa 3.8mm uniform in size, with an 18ct white gold diamond set clasp in a bow shape. 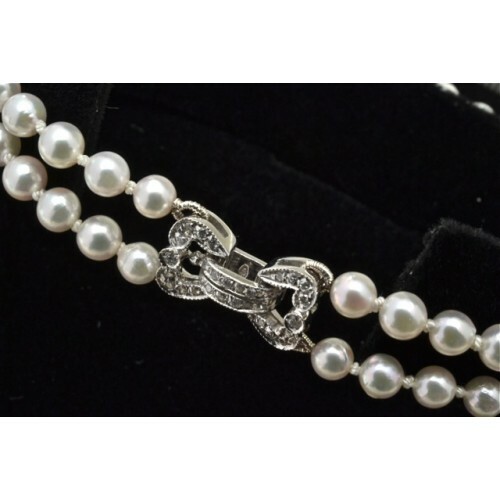 A really elegant piece.